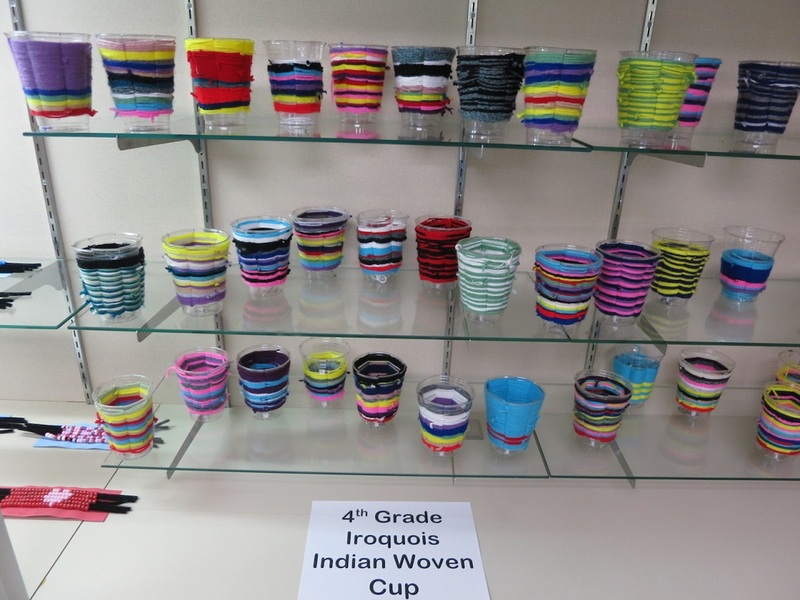 The 4th grade teachers, Mrs. Frink and Mrs. K. O’Donnell, collaborated with the art teacher, Mrs. Rickards to create interdisciplinary lessons, to compliment and enrich the Iroquois Indians social studies unit. 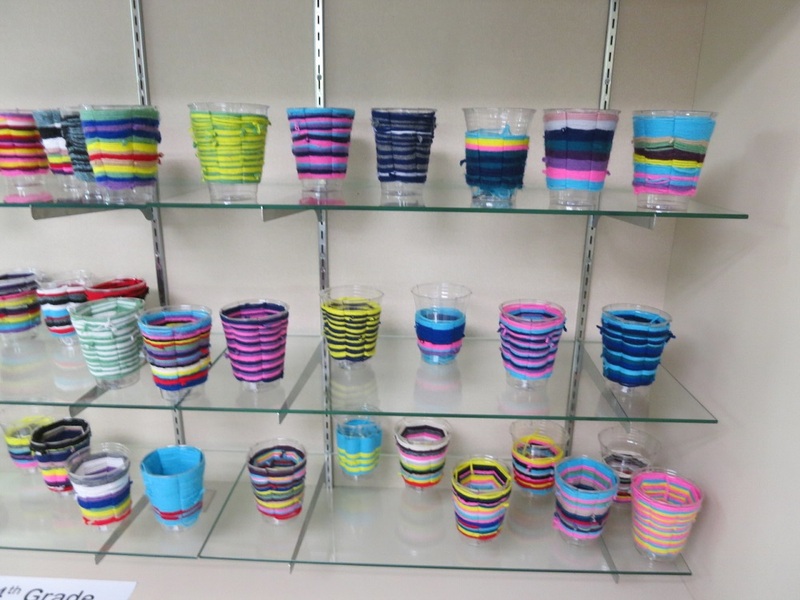 In social studies, students learned about the Iroquois Indians weaving baskets, and then in art class, students wove their own cup. 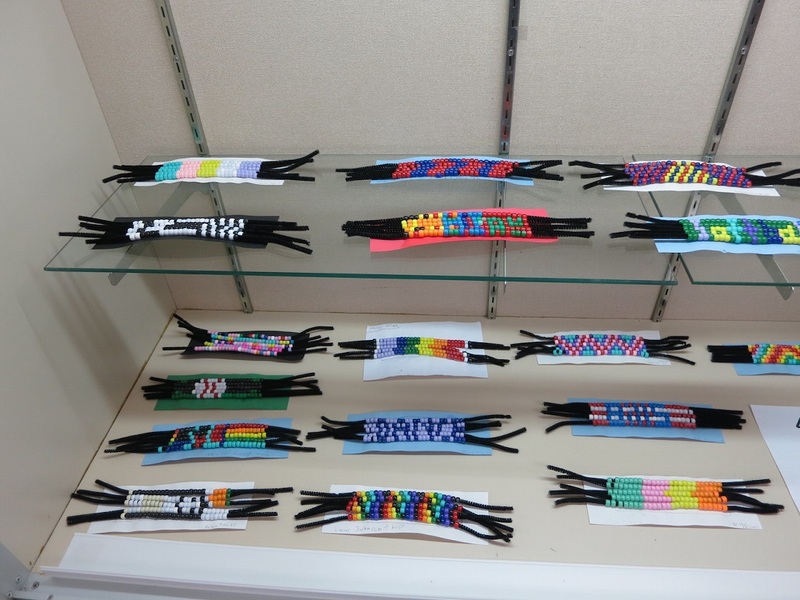 Additionally, students created their own wampum belt. First, they planned their wampum belt design by coloring in a grid, where each square corresponds to a bead placed on the belt. 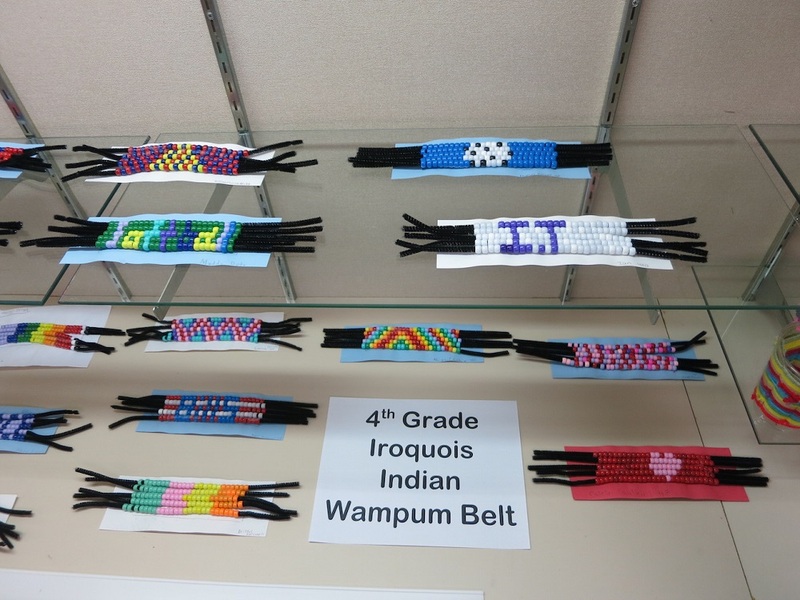 Next, they placed their beads on their wampum belt based on their design. The students’ beautiful artwork is currently on display in the front hall of the elementary school!